United States Forest Service flag. MENDOCINO Co., 4/1/19 — Permits for individuals to collect "fuelwood" from the Mendocino National Forest are available starting April 1 at a number of different National Forest Service locations and by mail. Permits at $5 per cord of wood collected; individuals can collect up to four cords of wood. All wood collected must be dead and downed, and a permit is required to remove any wood from the forest. Visitors to the forest should be aware of the ongoing closure of certain areas due to the Ranch Fire, and also take precautions not to spread sudden oak death. WILLOWS, Calif. — April 1, 2019 — Personal use fuelwood permits are available for purchase from the Mendocino National Forest (MNF) beginning Monday, April 1. Permits are $5 per cord of wood, with a minimum purchase of four cords for $20. Personal use fuelwood cutting permits are valid from the date issued until December 31, 2019. All fuelwood removed must be dead and down. The maximum length for a piece of wood that can be removed is six feet. A cord of wood is a well stacked pile, 4 by 4 by 8 feet. It is illegal to remove fuelwood from the national forest without a valid permit. Permits are available in person or by mail from one of the offices listed below. A third party authorization form to allow another person to cut wood for the permit holder is available for individuals unable to cut the wood themselves. The form needs to be requested at the time of purchase. All fuelwood permit sales are final, with no refunds. Permittees will receive tags and a map of the forest. The mail request form is posted here: https://tinyurl.com/yc3vpsf5. Permit holders should be aware that federal and state quarantines to prevent the spread of sudden oak death (SOD) are in effect for Lake and Mendocino Counties. Any fuelwood cut in these counties can only be transported into other SOD quarantine counties, including Alameda, Contra Costa, Humboldt, Marin, San Francisco, Monterey, Napa, San Mateo, Santa Clara, Santa Cruz, Solano and Sonoma. Hours: Tuesday through Saturday 8 a.m. to noon, 1 to 4:30 p.m. Hours: Monday through Friday 8 a.m. to noon, 1 to 4:30 p.m. The Ranch Fire area is closed, see Forest Order 08-19-01 for more information. Plan your trip – check the weather, bring water, emergency food, and the appropriate gear for the season. Make sure you have a full tank of gas when you leave. Also, let someone know where you are going and when you plan to be back. Keep vehicles on designated roads and be aware of unexpected weather that may change quickly. Wet dirt roads can turn to mud, making it possible to get stuck and cause damage to road, soil and water resources. As fire season approaches, be aware of fire restrictions or forest orders that may be in effect. An approved spark arrestor is required on chainsaws and an approved fire extinguisher or shovel is required to be within 25 feet of the point of saw operation. Ensure you are cutting firewood on the MNF and not from other federal, state or private lands. Cell phone coverage is limited across the forest. Validation tags must accompany each load being transported. Check with local offices for current information before traveling to the forest. 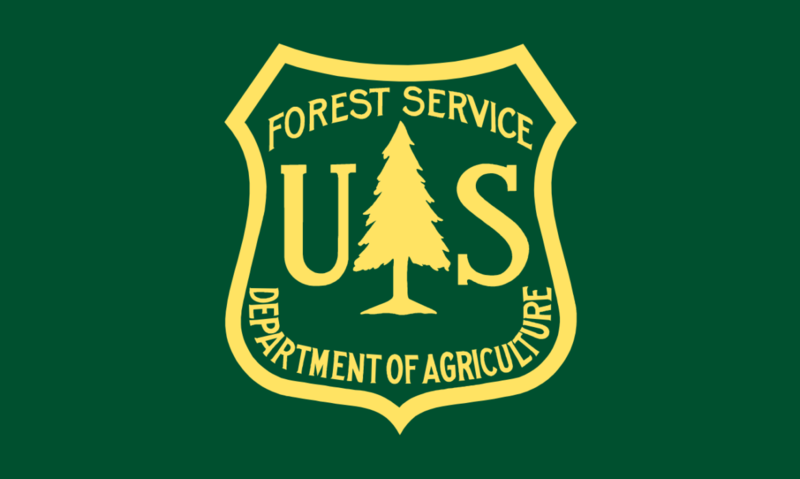 USFS Press release, April 1, 2019.